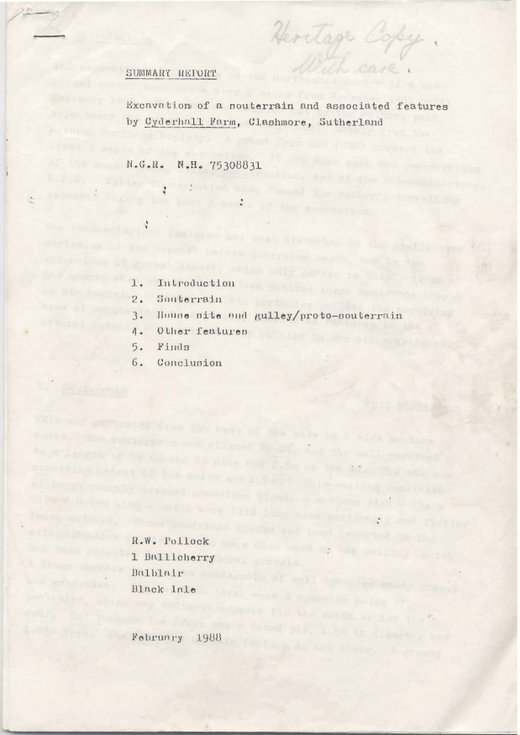 Summary report of excavation of a souterrain and associated features by Cyderhall Farm, Clashmore, Sutherland February 1988, by RW Pollock. Appears to be draft that preceded the printed version. 10 sheets stapled.